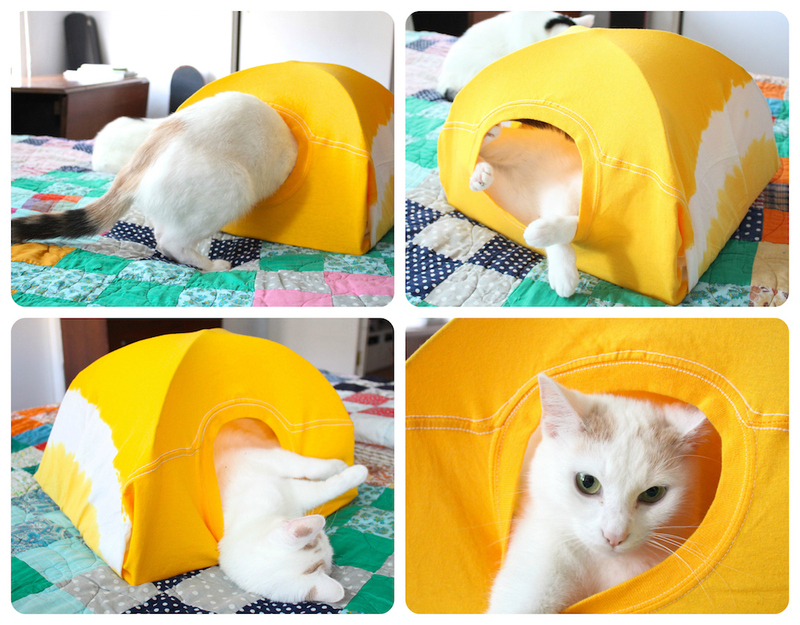 This cat tent is super easy to make - you really just need a t-shirt, some wire hangers and a piece of cardboard. 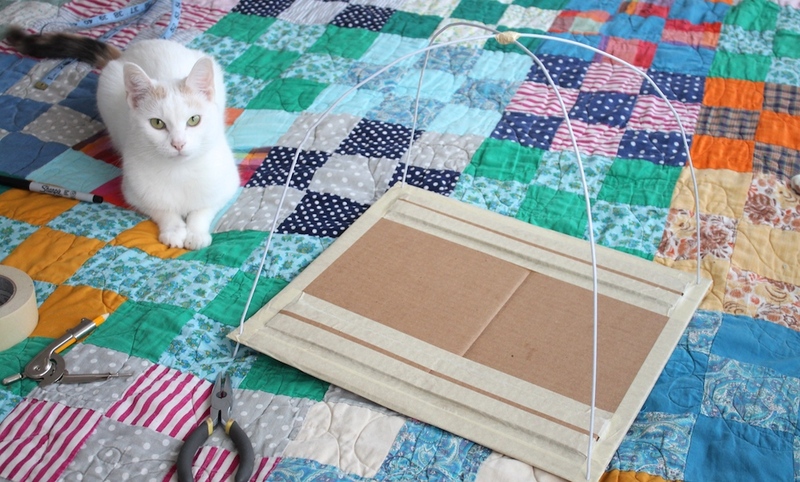 As a bonus, it really only takes five minutes, so if your cat ignores it, no harm done! 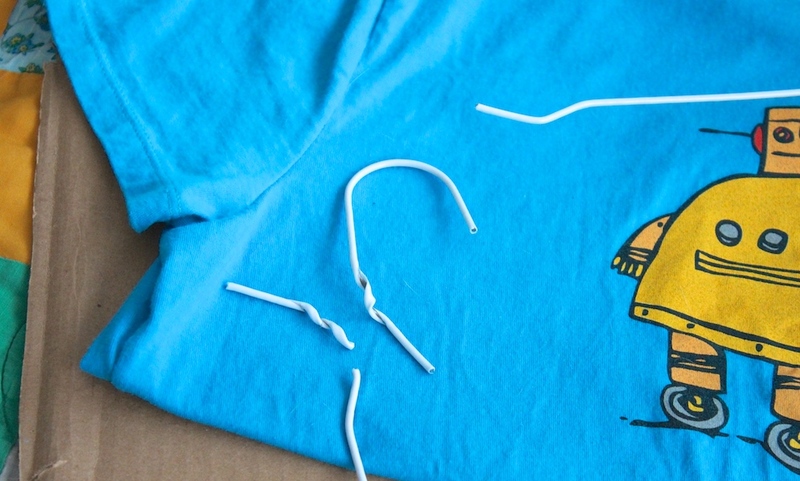 Cut the hangers. Cut off both squiggly ends. I untwisted mine and then cut, but that's not really necessary. 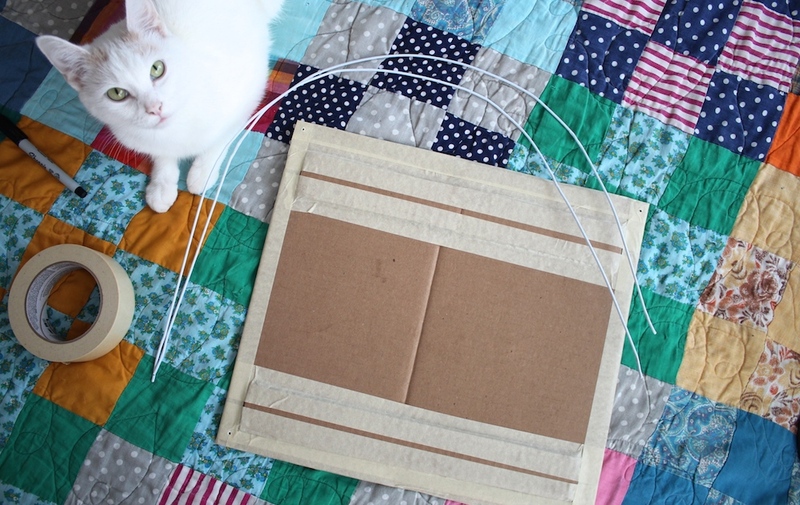 Shape the hangers and reinforce the cardboard if needed.Shape the hangers so they look like the below - try to make the hangers smooth and pretty uniform. You want two graceful curves that will go from corner to corner of your piece of cardboard. 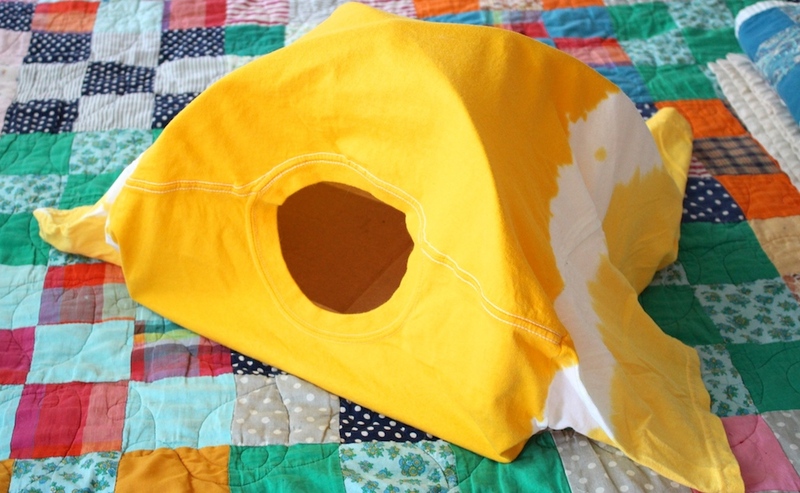 Poke a hole in each corner. 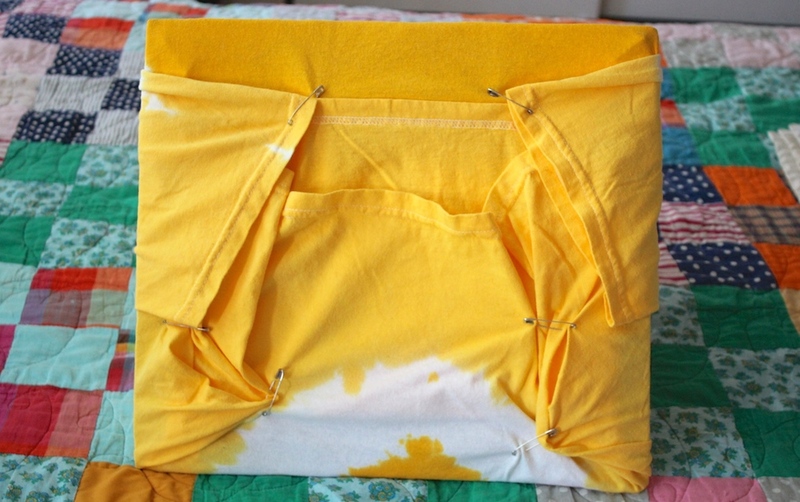 You should be able to use the end of the hanger to do this!Make sure it's at least a half inch in from each edge and not too large. Tape the two hangers together.Cross the two hangers in the middle and make sure all the ends touch the surface you're working on. Tape them together really well so they don't shift. Bend the ends and tape them down. 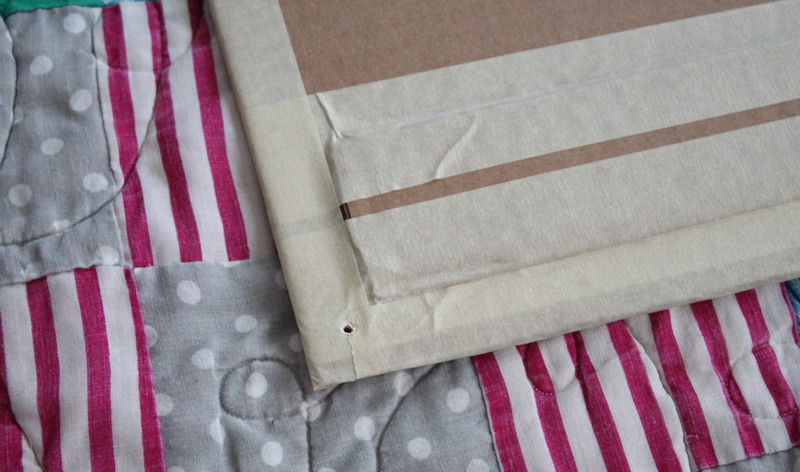 Bend at least a couple centimetres on the bottom of each hanger so it sits against the bottom of the cardboard. 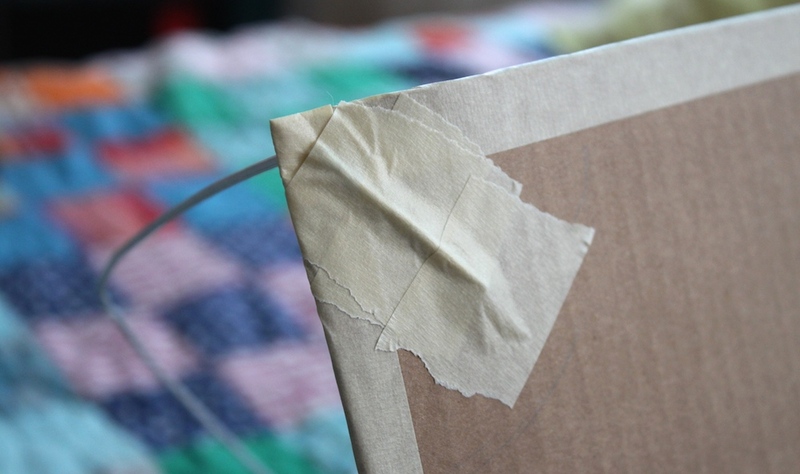 Tape the ends down flat against the cardboard - make sure you tape it well so it's nice and smooth and won't snag the shirt when you pull it over! Check and make sure everything's lined up. At this point you can bend the wire so that it looks nicer - fiddle around with it and use the pliers if you need to straighten it out a bit. 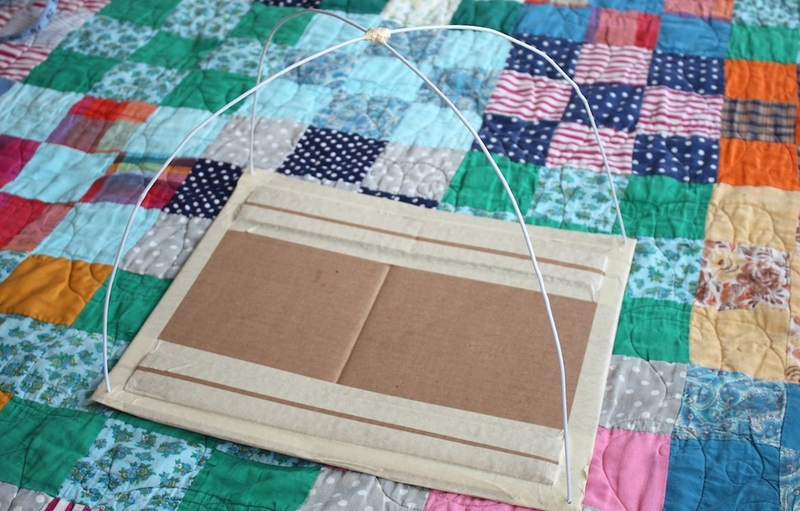 Create the tent.Pull the shirt over the tent frame and position it so the neck hole is in the front middle and the bottom of the shirt is trailing behind the tent frame. As you can see, she was pretty stoked.